Last week, I covered some comments from a couple of tech industry heavyweights having to do with the OpenStack cloud computing platform. Specifically, former Microsoftie and noted tech blogger Robert Scoble put up a Google+ post saying that OpenStack would be sidetracked by any attempt to build in API compatibility with Amazon Web Services (AWS). And, VMware CEO Pat Gelsinger said that his company's strategy is to "support OpenStack" despite the fact that the platform is "immature." Now there are some other comments arising online about not only OpenStack's viability, but whether or not the concept of the open cloud is worth pursuing. Of course it's worth pursuing. 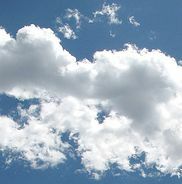 In fact, many organizations are perilously playing with cloud lock-in. In his Google+ post, Scoble, who works for the OpenStack-centric company Rackspace, argues that "we're entering into a new age that demands new technologies." He encourages OpenStack developers to keep it open and innovative rather than pursuing total API compatibility with Amazon.